You’ve just been given the green light. Next year’s sales conference is your responsibility. You’re excited, of course. After all, you’ve attended sales conferences for years and had amazing ideas on how to improve them. However, you’re a tad bit nervous as well. You’ve got all of these ideas… but will the attendees like them? Will your higher-ups be pleased with the event you put together? You want your attendees to be speaking about this conference for years to come. You want your sales team to learn how to kick their sales into high gear. And, you want to do all of this while looking like a rockstar. Sales Conference Planning: How Do I Host an Annual Sales Conference? An annual sales conference is an entirely different animal from other events you may have planned in the past. Why? Because all of those events had a very specific and immediate goal. Have fun, recognize someone for their achievement, join people together… whether the event was a success or not, the rest of their lives were probably not affected. A sales conference, on the other hand, needs to create lasting change for the attendees. Employees that attend these conferences should be entertained, inspired, educated, motivated, and given actionable takeaways that will improve their role in your company and possibly even their lives. Very few event planners are given an unlimited budget. Speak to whoever is footing the bill for this conference and find out how much you’ve got to spend and if there’s any leeway with that amount. Do you have to run your decisions through a committee, get approval from a higher up, or is your say is enough? You’ll need at least a one year lead time to secure the venue and the speakers that you want for your event. Ideally, you’ll have more time than that. If you gamble with planning a conference in less than 12 months, you may find that the venue you want, or the speakers you’d like to have, are no longer available. Do you want your employees to travel to a new city or state for the conference or do you prefer that they stay close to the office? There are benefits to having a conference in another city (change of environment could assist with a change in mindset, having to stay in a hotel and not go “home” at night may create relationships and foster a team building atmosphere). However, there are also drawbacks (travel costs and time). Your venue choice will depend on whether your attendees will have to travel. If they are leaving their home area, you’ll need to find a venue that also offers lodging or you’ll need to secure a hotel and possibly transportation to and from it. There’s a good likelihood that the venue will supply food. Discuss this with your contact and decide on a menu well in advance. Keep in mind that there are a number of dietary restrictions that may concern your attendees such as vegetarian or vegan, gluten-free, Kosher, and allergies. Will you be providing entertainment at night, or are conference attendees on their own once the educational day is over? Make sure you factor in plenty of break time. People need to step out, get air, have a snack, and clear their heads in between sessions. Plus, the best networking happens during these times. The speakers you hire will be determined by your goals for the conference. Are you looking to motivate your staff and get them fired up to return to work, or are your goals more focused on introducing new products, training them in specific areas, or teaching them sales techniques? A conference without any attendees isn’t very exciting. Invites can be sent out through email blasts, social media, etc. Many keynote speakers will even create a short video for you to send out to your employees getting them excited about the upcoming event. Remember that you need to share the benefits your attendees will receive. Provide surveys to all employees to determine what they liked and what could be done better in the future. You may want to follow up with another survey in 3-6 months asking if they’ve implemented anything they learned. Whether you plan the next event or it gets handed off to someone else, this information will prove invaluable. How Do You Have a Great Conference? As you go through the planning process, put yourself in the attendees’ shoes. Some employees may have work that has to be done once the conference day is over while others will be concerned about the growing pile of work waiting for them when they return to the office. Either way, business doesn’t stop just because they are at a conference, so you need to make the event worthwhile for them. How you judge “success” will ultimately come down to whether you’ve met your goals for the event. What do you want your salespeople to get out of the experience? Did you want to renew their excitement for the company and their role in it? Or did you want them to have steps they could take the moment they got back to the office? You want this conference to be one that employees remember for years to come. Here are a few ways to help make it an event to remember for all of the attendees. Your employees are your greatest assets and should be acknowledged for the hard work they do. Consider sharing stories of employees that have gone above and beyond for customers, hit (and blown past) sales goals, assisted fellow team members, or otherwise performed like business rockstars. Having your entire sales team in one room as a captive audience presents an opportunity to build teams and strengthen relationships. Consider hiring a team building speaker or finding a keynote speaker who can fulfill both roles. No matter where they are in their career, every salesperson could use some extra skills training. From communication to closing, every employee could stand to take their skills up a notch. It’s always helpful to know who else does what you do. Provide real-world examples of your competitors in action and provide ways that your team can set themselves apart and be heard above the market noise. There are thousands of motivational speakers that could deliver a good presentation for your conference. And chances are they’d even teach your attendees a thing or two. However, if you truly want your conference to be unforgettable, you need a speaker who not only educates, but motivates, and creates long-lasting change for your team. Planning a sales conference is a lot of work, but the payoff is enormous. 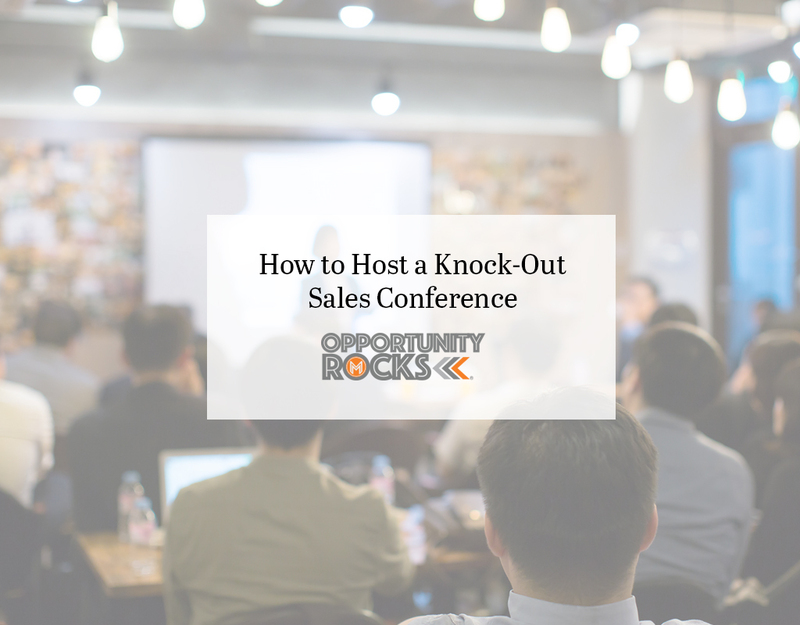 When you put in the time and effort to choose the right speakers for your event, you’ll see rewards as your team uncovers their inner business rock stars.